We had a brilliant time on the trek. Everything went perfectly to plan and it exceeded all of our expectations. Our Guide, David, was great fun and made the trek very enjoyable the whole way through. A trip to never forget! 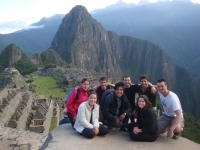 My experience with "Inca Trail Reservations" was just amazing. I spent 4 days with our wonderful guide Marcos, the super cook and the chaskies (sorry, I don't know how to write it). We were a group of 5 persons and I enjoyed every days with everyone. This was one of the best experrience i had in my life. I wanted to do this trek since last 2 years. 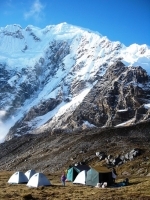 Thank you Inca Trail reservations to making it possible. This was one to remember, a truly amazing experience. Not for the faint-hearted but worth every second. Amazing landscapes and Inca sites on the way, as well as, just the feeling of arriving at Macchu Picchu the way the Incas did.